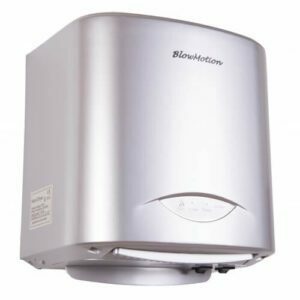 Here at Blow Motion we understand that telling our customers that we provide the best and most affordable hand dryers around is not enough, you want to see real evidence of our reputation and products so you can make the right decision when it comes to choosing your automatic hand dryer supplier. Choosing from a vast range of hand dryers is a difficult enough decision, but choosing a reputable company to supply these hand dryers can also cause a headache. You’ll no doubt want to make sure that your hand dryer supplier can follow through on their promises of quality and price. You’re right to want proof of the reputation of your supplier, and here at Blow Motion this proof is in the form of our amazing customers and their reviews. We think these reviews speak volumes about our company and we’re sure you will too, adding to our long list of fantastic reviews after experiencing our service. When buying a hand dryer you want to make sure it’s safe, reliable and durable. That’s why it’s vitally important to use a reputable and specialist company. This is particularly true if you’re buying hand dryers for places with a duty of care – such as schools and hospitals – where safety, cost, and durability are vital. A company that has a loyal customer following and an extensive list of 5 star reviews, like we have, is sure to be a company that you can trust. We have been awarded an overall 5 star rating by the independent review site, reviews.co.uk. We provide modern, energy efficient, eco friendly, durable and affordable hand dryers to many happy customers who go on to recommend our company to their friends and contacts, strengthening our reputation for trustworthiness and reliability. Join our long list of happy customers and choose Blow Motion to supply your hand dryers! Have a look at our great range of products today, learn more about what makes us a great choice for hand dryers, or get in touch with our friendly team by calling us on 0800 002 9678 if you want advice and guidance on choosing the right automatic hand dryer for you.